information about the overweight and obese body stages. Firstly both the term is used in terms of body fat. both will indicate the extra storage of the calories in the body, when the body consume good amount but not burn that much of amount of the calories then that calories will store in the body in the form of the fat. and it will get deposits in the form of the layers under your skin. Extension or the advance step of the overweight is called obesity, it can lead to the dangerous diseases symptoms. It can lead you towards other diseases like high blood pressure, heart diseases, diabetes, osteoporosis, digestive problem, sleeping disorder, mainly backache and many other problem ...list is long. 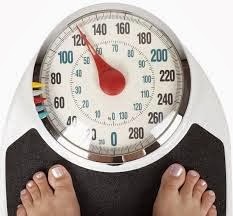 Example: if weight = 52 KG and H= 5 feet 3 inches then according to the formula your BMI will be approximately 20. So just check your BMI for getting known in which stage your body fall (underweight, normal, overweight, pre-obesity and obese).